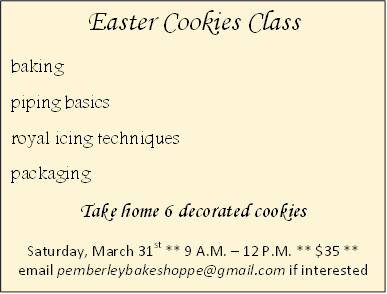 Well, it’s a little early for Easter, but I wanted to share a class with you that I am teaching at the end of March. 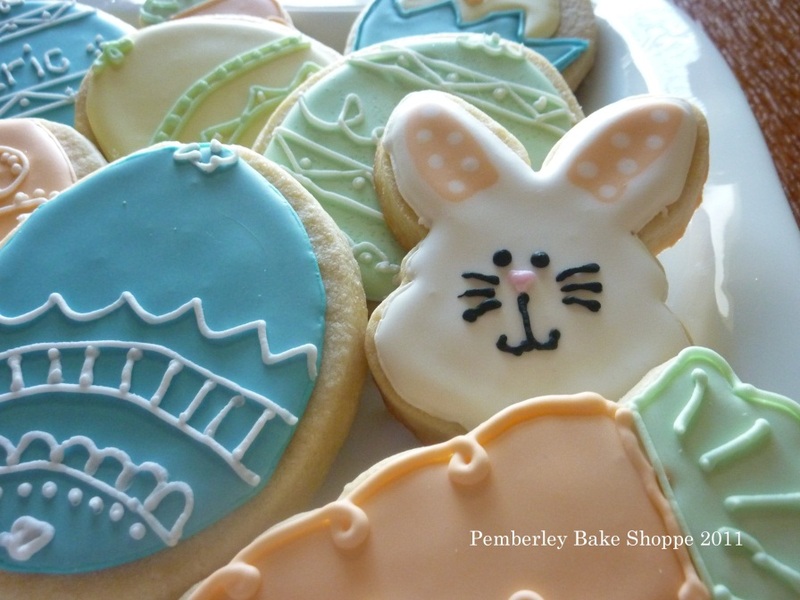 That way, if you do take the class, you can have enough time to make the cookies on your own, in time for Easter. Just a few side notes. One, it will be in the Portland area, so you’ll have to be within driving distance of the city. Two, not only will you learn some techniques, like baking the sugar cookies and tips with royal icing, but you get to take home the cookies you decorated. I love classes where you get to eat your project. :) You don’t need to bring anything, all tools will be provided.